If you thought that Indian Railways was limiting itself to just to ultra- cool and swanky Tejas Express, well you are here for a surprise! Under Indian Railway Ministry’s ‘Operation Swarn’, the superfast Rajdhani and Shatabdi will get upgraded. These will be no cosmetic tweaks, but major improvements are going to be there to improve the passengers travel experience. In its first phase, the Mumbai-Delhi Rajdhani Express and Mumbai-Ahmedabad Shatabdi Express have been selected for the makeover. In the last few years, passengers have complained about the service and quality of food and not to miss the cleanliness. 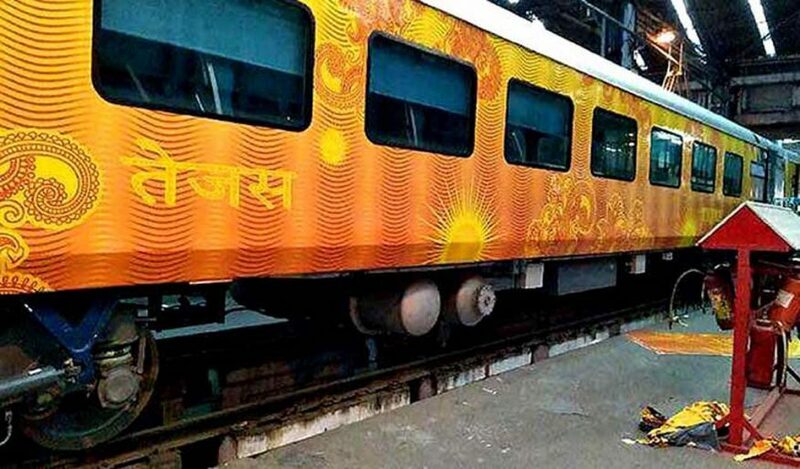 In May, Tejas Express, India’s newest train, made its debut trip from Mumbai to Goa. The superfast train promises a flight-like experience on the track at less than Rs. 1,500 a ride.